Film Achievement: The first movie of Vilma Santos and Cocoy Laurel, the other films are: Disco Fever and Pinay American Style. 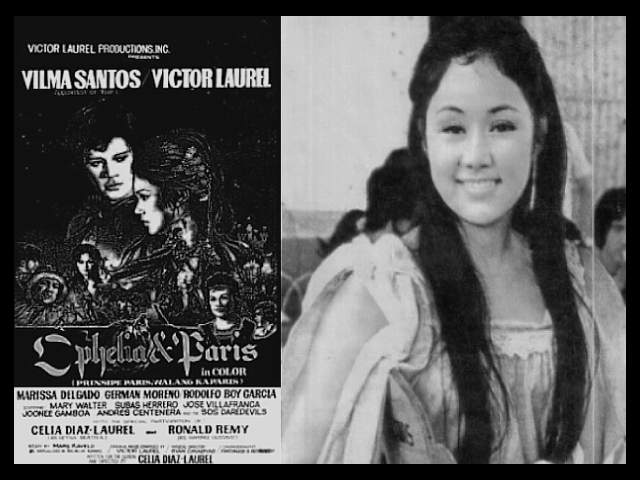 This entry was posted in Filmography and tagged Andres Centenera, Celia Diaz Laurel, Filmography: Ophelia and Paris (1973), FILMS, German Moreno, Joonee Gamboa, Jose Villafranca, Marissa Delgado, Mars Ravelo, Mary Walter, Ophelia & Paris (1973), Rodolfo Boy Garcia, Ronald Remy, Ryan Cayabyab, SOS Daredevils, Subas Herrero, Victor Laurel. Bookmark the permalink.